While the auditing process has left many aggravated and annoyed, there are strategies that can help ease the pain. With approximately $1.45 billion in improper payments identified through the first quarter of fiscal year 2012 and hundreds of thousands of audits under its belt, the Centers for Medicare & Medicaid Services’ (CMS) permanent recovery audit contractor (RAC) initiative has matured in many areas. However, key processes remain sources of considerable frustration for hospitals on the receiving end of thousands of medical record requests and repayment demands. According to the CMS, from October 2009 through December 2011, RACs collected overpayments totaling $1.27 billion and returned underpayments of $183.7 million. Given the volume of information requests hospitals receive each year, the costs involved in supporting the RAC process, and the potential financial impact of failure to adequately defend claims, it’s easy to understand why facilities are growing increasingly frustrated with insufficient information from RACs. According to the most recent report from the American Hospital Association RACTrac program, 59% of participating hospitals indicated they have not received any education from the CMS or its contractors on how to avoid payment errors and nearly 50% (a significant increase over the previous quarter) indicated “not receiving a demand letter” as the largest RAC process problem. RACTrac also reported that 87% of participating hospitals experienced some RAC activity through March. Most also saw a significant increase in medical record requests, two-thirds of which were ultimately found to contain no improper payments. In all, $4.3 billion in Medicare payments were targeted for medical record requests through the first quarter of 2012. Also increasing significantly were claims denials. Through the first quarter of 2012, denials totaled $741 million, nearly double the amount reported through the last quarter of 2011. Hospitals reported appealing an average of 83 denials in the first quarter, 75% of which were ultimately successful. However, nearly three-fourths of all appealed claims were stuck in the appeals process. Being stuck in the appeals process can be particularly problematic for historical claims. According to Vicky Hopkins, a controller at Fayette Regional Health System in Connersville, Indiana, CGI Technologies and Solutions, the Region B RAC, is currently reviewing claims from 2009 and 2010. “If they are looking at old claims … and CGI determines the claim does not qualify for inpatient status but does meet the criteria for outpatient, the filing limit has passed so we cannot resubmit a corrected claim, which results in lost revenue. It should be changed to equal the review period,” she says. Through the first quarter of 2012, hospitals reported 50,395 automated denials and 124,055 complex denials. 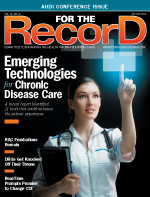 In all, RACTrac participants reported receiving 447,523 medical record requests from RAC through March. The latest RACTrac report appears to bear that out, with 55% of hospitals indicating they spent more than $10,000 managing the RAC process during the first quarter of 2012, while 34% spent more than $25,000 and 7% spent more than $100,000. Fayette is one organization that has scaled back significantly on the number of appeals it files when hit with a recoupment request. It adopted this strategy due in part to guidance from Blue & Co, LLC, an accounting firm that works with hospitals on coding, auditing, financial controls, and other issues that impact RAC performance. The 110-bed acute care hospital, which includes a 30-bed adolescent psychiatric unit, receives RAC requests for 12 or more records every 45 days. Fayette uses the results of the RAC audits to highlight areas where clinical documentation improvement is needed. Another source of frustration surrounds Cahaba’s decision to inexplicably drop the patient control number from its demand letters after the CMS transferred responsibility for issuing those letters from Connolly to Cahaba in January. Clarification requests typically resulted in the hospital being referred back and forth between the RAC and the MAC, creating a stalemate that ultimately “means more detective work on our end and more hours investigating,” according to the lead inpatient auditor. For cases that go to the ALJ level, appeals for the Region C facility can take as long as 18 months to resolve. It must then track the repayment back from Cahaba to ensure communications between the ALJ and MAC were successful—all to retain monies it originally received as much as five years earlier. While frustrations are ongoing, RACs have made several key process improvements. For example, Connolly has improved the process by which medical records are submitted. According to one Region C facility’s RAC coordinator, the facility now can submit records electronically via its release-of-information vendor rather than printing them from the EMR and incur the additional expense of express shipping via a traceable service. Another improvement is that demand letters now arrive directly from Cahaba. “Since the MAC is responsible for collecting the money related to the denial that [the RAC] identified, it never made sense why the demand letter wasn’t coming from the MAC originally,” she says. Indeed, finding ways to work with MACs to improve the payment and repayment processes ranks high on several improvement wish lists. Easterling notes that reconciling paybacks against ANSI 835 remittance advice transactions is a particularly significant challenge. Further, there remains confusion about the best way to manage repayments: checks, recoupment, or offsets. Despite ongoing issues that have left many hospitals feeling invisible when attempting to fix RAC-specific problems with the overall process, there are actions they can take to help facilitate improvements. One is to make sure they are analyzing denials and using that information to root out internal weaknesses. In addition to launching a clinical documentation improvement program to ensure the documentation accurately supports the claims being filed, Fayette has created a database to track trends, issues, and results. Process improvement is also high on Easterling’s recommendation list. In particular, she recommends following the information from the point a patient enters the facility to discharge to identify weaknesses and map actions back to specific denials or underpayments. For hospitals with the internal resources to do so, she also recommends establishing a department whose sole responsibility is to manage all government audits. This removes the burden of managing RAC requests from HIM, coding, and case management and ensures that the individuals who are responding to requests are well versed in the time frames, processes, and regulatory requirements. Another health system has expanded its staff and tracking capabilities to stay on top of the high volume of record requests and denials. Further, by expanding its outside clinical appeals expertise and legal representation, it is better equipped to manage the tracking of denials across multiple appeals levels and CMS contractors as well as to present its defense in front of various ALJs. It also continues to work closely with its MAC to proactively resolve issues as they are identified internally. — Elizabeth S. Roop is a Tampa, Florida-based freelance writer specializing in healthcare and HIT.